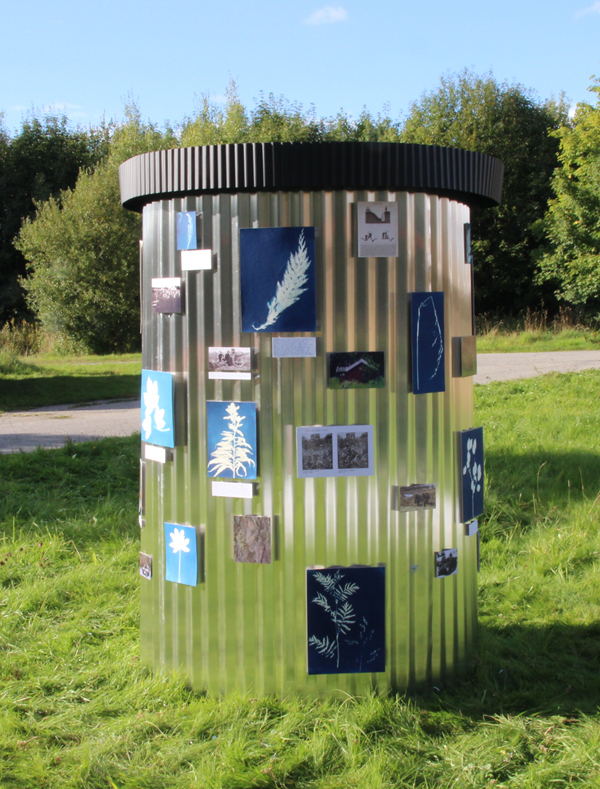 Blåkopi/Blueprint (2017) is a construction of corrugated iron in combination with cyanotypes, or blueprints, of plants that grow in the area of a closed down military base together with text and found images. The military site is an overgrown area where the remains and ruins of human interaction and political decisions are camouflaged by intentional and unintentional vegetation, revealing the plural histories of the place. Examples include plants brought in with the Nazi’s horses (polemochores) as well as weeds that follow fire. The site has been bought by developers and this was the last season the vegetation would be ‘intact’. The use of corrugated iron references the protected corrugated iron buildings from 1890, which were used as weapon storage, mimicking the shape of an information column. Cyanotype is a photographic process from the mid 1800s which was used by architects and engineers for reproductions of drawings and documents. 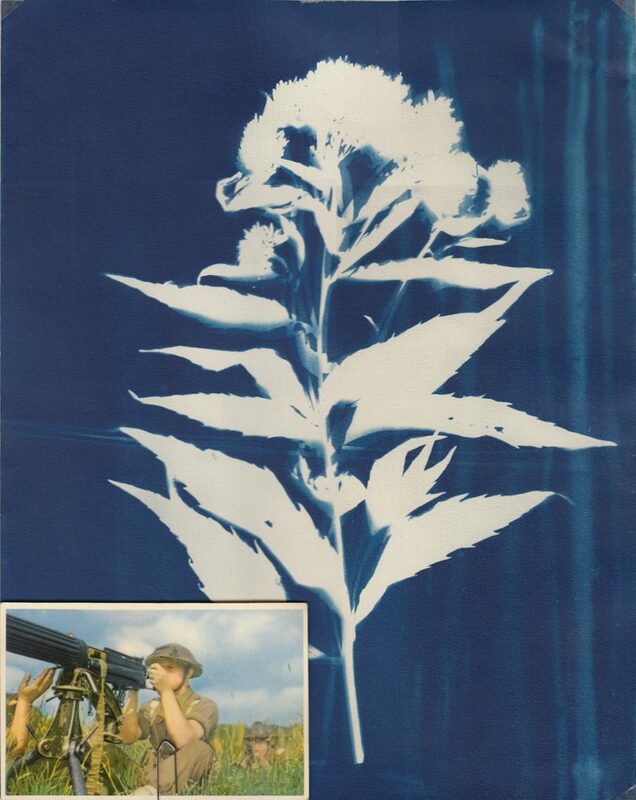 The botanist Anna Atkins made in the mid 1800s the first book with photographic reproductions of plants in the form of photograms by using cyanotype. Corrugated Iron, 33 cyanotypes , photos and texts.